Antwan Hester was found two days after he walked away from his family. They found him because he was in the street and a van hit him. Thank God, he is ok.
As a reminder, I initially posted his story to point out how autism is dangerous. I don't mean to offend anyone who looks at autism as an 'alternative cognition' and feels it should not be cured if it can be, but I feel a little silly demonstrating how autism puts people at risk. It seems self-evident. I will continue to post these stories as they arise. At least until it gets too upsetting for me. RALEIGH -- A missing man was located late Monday night after he was struck by a van on Tryon Road. Antwan Hester of Henderson, who has autism, received minor injuries and is back at home in Henderson, said Phyllis Stephens, spokeswoman for the Wake County Sheriff's Office. Hester had wandered off from his family Saturday night at the State Fair. Around 11 p.m. Monday, Hester was walking on Tryon Road when he was struck by a 1997 Dodge van driven by Joan Curtis Smith, 50, of Raleigh, said Jim Sughrue, spokesman for the Raleigh Police Department. Authorities do not know where Hester spent the two days he was missing. Smith was not cited in the accident, Sughrue said. I am attending the Long Beach Dan Conference. It is about half way through the three days of Autism research and treatment discussions, and the thought that keeps coming back to me is, how in the world can mainstream medicine be ignoring the DAN movement and the biomedical treatment for autism when there is THIS MUCH information on what the metabolic dysfunction is and THIS MANY children who have their autistic symptoms abate as a result of treating the dysfunction?? I feel like have a decent understanding of autism doctors and researchers growing understanding of what is going on inside autistic children as compared to most laymen, but being here, I realize how much more information there is than I had imagined. I am sitting in one of the Science Sessions for doctors right now listening to Richard Deth talk about methylation dysfunction and dopamine D4 receptors and lymphoblasts and protein activation and well… other minutia that I can barely track. (Synchronizing Neuronal Networks: How improved Methylation Helps Autism). I quit trying to understand the details about 10 minutes ago, so I thought the best use of my time would be offering you my thoughts on the broad strokes that I am hearing. Heavy metals interrupt the process of methylation, preventing the body from producing glutathione, which leads to impaired to Neuronal Synchronization, which we describe as Autism. Some people have genetic risk factors (like MTHFR, Transcobalmin II, MS Reductaise, COMT, and UBE3A), which causes this methylation interruption to happen at much lower levels of metal exposure. And oh, by the way, Thimerosal is one of those substances that interrupt methylation, and for some people with these severe genetic predispositions it does so at VERY small amounts, even a few nano-molars. What is neuronal synchronization? Nerves firing in synchrony. If you are looking at a pen, and one neuron is transmitting the color of the pen and another neuron is transmitting the shape of the pen, we see a black pen. If these two neurons are transmitting the information at different rates, and each of these pieces of information arrive at different times, will the brain be able to build a coherent picture of what is being observed? If not, how will the individual be able recognize that picture in their head as a pen? I gotta ask the question, are any of those who have been criticizing the mercury trigger hypothesis even looked into the science behind it? I may not be able to understand the intricacies of methylation (my best biology 101 analogy is that is a really complex version of a process like the Kreb cycle with molecules attaching and flying off to create substances the body uses to function properly), but it is more than obvious how doses of thimerosal set off a chain reaction that results in information processing problems, especially in people who already have other genetic factors that threaten the methylation process. So. Offit, Orac, Kevin, Skeptico, JP, and those of you so vehemently reject the thimerosal/autism connection, have you really looked into the research? Have you into methylation dysfunction, its causes and its consequences? Honestly, until you can explain how mercury does not damage methylation dysfunction or explain how methylation dysfunction does not impair the central nervous system and produce autistic like behaviors, then I am not sure how you can speak with any authority on the lack of a correlation between thimerosal and autism. Attend a DAN conference and then we can talk. …and if any one wants to stop by and say hello, I am the one sitting in back with the laptop. Old Paradigm: "Mercury may or may not be one of the causes of autism. Once you have autism, it is life long. Autism is genetic. Treatment is behavioral therapy with a psychologist or social worker. Prognosis for recovery is poor." New Paradigm: "Mercury causes mercury poisoning, which has been mislabeled as autism. Mercury poisoning can be resolved by removing the mercury. Mercury poisoning is an issue of toxicology. Treatment is the removal of mercury through a process called chelation. Prognosis for recovery is very good." This peace speaks to the heart of the mercury/autism discussion. Go read the whole thing. Welcome to the discussion JB and Lisa. The Columbia Journalis Review is the Bi-monthly publication of the Columbia University Graduate School of Journalism. It is considered the American academic publication advancing the cause of professional journalism. This reprint from the November/December edition is not available on the CJR website. It is long, but it is good and is a MUST READ for any one following the unfolding Thimerosal story. Update: Craig Westover has a good piece on this article. Read it in it's entirity first here, then check out his take. On May 18, 2004, the Institute of Medicine, a branch of the prestigious National Academies, delivered its eighth and final report on vaccine safety, seeking to end a scientific controversy that had built to a slow boil over the previous five years: whether a mercury-containing vaccine preservative called thimerosal was to blame for an alarming spike in autism cases among a generation of children. After three years of reviewing this and other immunization safety questions on behalf of the Centers for Disease Control and Prevention, the institute's fourteen-member panel rejected the thimerosal link, and, in a powerful policy statement, recommended that research funding in this area be shifted toward other, more promising lines of inquiry. Under headlines such as this one from The Washington Post, EXPERTS FIND NO VACCINE-AUTISM LINK; PANEL SAYS MORE RESEARCH ON POSSIBLE CONNECTION MAY NOT BE WORTHWHILE, the press dutifully reported the IOM's conclusions, perhaps as eager to lay the question to rest as the IOM panel itself. For a time it appeared the controversy over thimerosal would end there. It didn't. Over the past seven months, it has gained traction again, leaving journalists in an awkward position. The thimerosal question - scientifically, politically, and emotionally complex - is proving to be a test for journalism, and the successes and failures are evident in the coverage. Still, the bulk of the scientific establishment denies the autism link, citing the conclusions of the IOM panel, and views believers as crackpots, conspiracy theorists, or zealots - a perspective many medical experts barely conceal in conversations with reporters. In an interview with Myron Levin of the Los Angeles Times after the publication of the IOM report, Dr. Stephen Cochi, the head of the CDC's national immunization program, dismissed supporters of the thimerosal theory as "junk scientists and charlatans." If so, then such universities as Harvard and Columbia, among others, employ charlatans - scientists who believe that a link between mercury exposure and autism is plausible. Even so, the perception that only distraught, activist parents and disreputable scientists back the thimerosal theory has seeped into the collective consciousness of the news media, which, in general, have been reluctant to cover the controversy. Both sides in the debate make convincing arguments to support their cases, and in the cacophony of competing claims each is guilty of using data selectively. What is known is this: Since the late 1980s the number of children diagnosed with autism has increased sixty-fold, from one in every 10,000 in 1987 to one in every 166 in 2003. Much of this spike overlaps with a period when, due to recommendations by the CDC and the Food and Drug Administration, the number of suggested immunizations on the childhood vaccination schedule more than doubled, raising the doses of mercury that some children received to levels that far surpassed federal standards for mercury exposure. (The standards were based on methylmercury, the type emitted by coal-burning power plants. Ethylmercury, which makes up nearly half of thimerosal by weight, is a closely related compound. To date, ethylmercury has received far less study, and scientists disagree on whether it's as harmful as methylmercury, though both are considered neurotoxins.) Until the late 1990s, health officials were unaware of the total amount of mercury children were receiving in their vaccinations. It's not unreasonable to ask how this went unnoticed, and unreported, for so long. The answer is simple: no one had ever done the arithmetic. When scientists did, the U.S. Public Health Service recommended that vaccine manufacturers phase out thimerosal from children's vaccines in 1999 as a precaution. It was careful to note, however, that "there are no data or evidence of any harm." As it stands, the preservative, which allowed drug manufacturers to supply vaccines in multidose vials (the thimerosal-free, single-dose versions are costlier), has been eliminated from most immunizations, excluding some flu and tetanus shots. During 1999 and 2000, the thimerosal link was quietly under study by the CDC, and, as shown in internal memos and meeting minutes, health officials were deeply concerned about what they might find. Thimerosal activists point to this history: In June 2000, the CDC convened a closed meeting at the Simpsonwood Convention Center in Norcross, Georgia, to discuss, among other things, preliminary findings on thimerosal. In addition to the health officials, researchers, and vaccine experts in attendance were representatives from GlaxoSmithKline, Merck, Wyeth, and Aventis Pasteur, the vaccine manufacturers who had the most to lose if an autism link were proven. During one session of the two-day meeting, the CDC epidemiologist Thomas Verstraeten presented the results of an analysis of the CDC's Vaccine Safety Datalink, a database that contains the vaccination histories of more than seven million Americans. His study, at least at that stage, appeared to support a connection between thimerosal and neurodevelopmental disorders, showing what Verstraeten described as "statistically significant relationships between exposures and outcomes." The presentation caused one physician in attendance to remark, "the medical legal findings in this study, causal or not, are horrendous." Attendees were instructed that what they'd heard that day was to be considered "embargoed." But Simpsonwood is not a smoking gun. Nor are other documents that purport to be, including the transcript of a private session of the Institute of Medicine's Immunization Safety Review Committee from 2001, in which the committee's chairwoman, Dr. Marie McCormick, referring to the vaccine-thimerosal issue, says that the CDC "wants us to declare, well, these things are pretty safe on a population basis." It is a statement that indicates to some that the IOM had already decided where it was going to come down on thimerosal. If transcripts of both meetings are not damning, the comments of some attendees are striking, particularly when they are quick to note the legal ramifications should a connection be established. As McCormick makes plain during the 2001 meeting, attendees were aware of the conclusion that the CDC wanted them to reach, but that isn't proof that the institute manipulated data to reach that end, as some allege. When the IOM panel released its final report in 2004, it had analyzed more than 200 studies and based its conclusions largely on five recent epidemiological papers that appeared to debunk the autism connection, including Verstraeten's and one from Denmark that shows autism cases rising after thimerosal was removed from that country's vaccine supply. Excluded was much of the biological research that supports a link, which the IOM deemed speculative. researchers on the Danish study examined autism cases both before and after 1992, when thimerosal was removed, but used two different data sets in doing so, tallying inpatient cases through 1994 and adding outpatient cases to their count thereafter, a factor that could explain the increase they observed. According to Kirby, even the study's authors conceded, in their own words, that they "may have spuriously increased the apparent number of autism cases." Verstraeten, for his part, seemed to grow tired of how his findings were being interpreted by both sides. In an April 2004 letter to Pediatrics, he wrote that his study "does not state that we found evidence against an association, as a negative study would. It does state, on the contrary, that additional study is recommended, which is the conclusion to which a neutral study must come." He went on to call allegations of a potential conflict of interest an "insult," saying that he remained on the study only in an advisory capacity after he went to work for Glaxo. "Did the CDC water down the original results? It did not." Steeped in controversy and intrigue, the thimerosal debate has all the makings of a compelling news story, yet it has been approached with caution by the news media, which, more often than not, don't portray it as a legitimate scientific debate. "I'm putting my faith . . . in the Institute of Medicine," ABC's medical editor, Dr. Timothy Johnson, told viewers during a segment on thimerosal in July. At the conclusion of an NBC report on the debate last winter, the science correspondent Robert Bazell was careful to note that "if we stop vaccinating our children, we run the risk of having these horrible diseases come back . . . . And the evidence right now is that vaccines do not cause autism." There is a very real fear that taking the thimerosal theory seriously will prompt antivaccine blowback. Myron Levin, the Los Angeles Times reporter, said that some journalists have been cowed by the notion that "by the mere act of covering this, they will instill panic in the vaccination-getting public, or feed mindless phobias that cause people to refuse to let their kids get shots." That concern is reflected in the coverage and has implications for how deeply the story is reported. "I think many news organizations have held back and given the story short shrift," Levin said. The result was much more one-sided. Headlined ON AUTISM'S CAUSE, IT'S PARENTS VS. RESEARCH, the story cast the thimerosal connection as a fringe theory, without scientific merit, held aloft by angry, desperate parents. The notion that supporters of the theory were disregarding irrefutable scientific findings was an underlying theme, drilled home several times. "It's really terrifying, the scientific illiteracy that supports these suspicions," Dr. Marie McCormick told the Times. Readers were left with little option but to believe that the case against thimerosal was scientifically unsound. The piece did note the work of Mark and David Geier, a father-son research team who believe that mercury exposure is linked to autism. The Geiers's research has been a lightning rod for criticism, and their methodology has been called into question by some in the scientific community. But before the reporters even discussed the Geiers's science, they had already painted the researchers as eccentric outsiders: "He and his son live and work in a two-story house in suburban Maryland. Past the kitchen and down the stairs is a room with cast-off, unplugged laboratory equipment, wall-to-wall carpeting and faux wood paneling that Dr. Geier calls 'a world-class lab - every bit as good as anything at N.I.H.'" Omitted from the story was the work of Dr. Mady Hornig, a Columbia University epidemiologist; Richard Deth, a Northeastern University pharmacologist; Jill James, a professor of pediatrics at the University of Arkansas; and others whose work suggests that thimerosal may cause neurodevelopmental disorders in a subset of susceptible children (those who are not able to eliminate mercury from the body in the ways that most people do). The story alluded to Boyd Haley, chairman of the department of chemistry at the University of Kentucky and an ally of thimerosal activists, in the same sentence as a Louisiana physician who believes "that God spoke to her through an 87-year-old priest and told her that vaccines caused autism" - leaving Haley, it would seem, guilty by association of lunacy. Several reporters I spoke with who have covered the thimerosal controversy described the Times story as a smear. One called it a "hit piece." The Times's O'Connor told me he had looked at the research linking thimerosal with autism, including the work of Hornig, Deth, and James, but ultimately found the epidemiological studies cited by the IOM more persuasive. "The larger scientific community has rejected a link between thimerosal and autism," he said. "You do have some scientists who are convinced that there's a link, but then you have the American Academy of Pediatrics, the World Health Organization - it's not a stretch to say that the scientific community has rejected this link." The article prompted a massive reader response. One organization, known as A-Champ (Advocates for Children's Health Affected by Mercury Poisoning), organized an e-mail campaign directed at top editors at the Times, as well as the public editor, Byron Calame. O'Connor personally received dozens of e-mails and letters. "There were a couple that were threatening. There were some that were pretty harsh and others saying that I was part of the conspiracy. A lot of people responded saying there must be some link between the Times and the pharmaceutical industry." Responding to the complaints of one group, Calame wrote: "I have carefully reviewed your e-mail and spent several hours with the editors and reporters who prepared the article . . . . This has left me convinced that the article isn't intellectually dishonest. Nor are the omissions staggering. Nor is there a pervasive editorial bias. I find the article fair and accurate." As it turned out, the story had angered members of the epidemiology department at Columbia's Mailman School of Public Health, including the department's chair, Dr. Ezra Susser. Since some of their work, including that of Dr. W. Ian Lipkin, a highly regarded neurologist, and Mady Hornig, explored the connection between environmental mercury exposure and autism, including exposure through thimerosal-carrying vaccines, they felt that they had been lumped into the category of scientific illiterates. Responding to the article in a June 28 letter to the Times (never published), signed by Susser, Lipkin, Hornig, and the epidemiologist Michaeline Bresnahan, the researchers wrote that "scientists pursuing research on mercury and autism are caricaturized as immune to the 'correct' interpretation of existing studies. Researchers rejecting a link are depicted as the sole voices of reason . . . . Whether mercury in any form (or any of several factors recently introduced to our environment) has anything to do with autism can and should be resolved with rigorous studies and respectful discourse, not moral indictments and denunciations." Journalists agree that the thimerosal story is one of the most explosive they've ever encountered. In addition to the vitriolic response Anahad O'Connor drew from readers, he also said he received a number of e-mails praising him and Harris from fellow reporters who had been interested in covering the thimerosal controversy, but had "gotten scared away from really tackling the subject . . . they were afraid of getting hate mail." Some reporters who have portrayed this as an ongoing scientific controversy have been discouraged by colleagues and their superiors from pursuing the story. A reporter for a major media outlet, who did not want to be identified for fear of retribution, told me that covering the thimerosal controversy had been nearly "career-ending" and described butting heads with superiors who believed that the reporter's coverage - in treating the issue as a two-sided debate - legitimized a crackpot theory and risked influencing parents to stop vaccinating their children or to seek out experimental treatments for their autistic sons and daughters. The reporter has decided against pursuing stories on thimerosal, at least for the time being. "For some reason giving any sort of credence to the side that says there's a legitimate question here - I don't know how it becomes this untouchable story, I mean that's what we do, so I don't understand why this story is more touchy than any story I've ever done." Pursuing this story is unattractive for other reasons, too. The issue is exceedingly complex and easily oversimplified. "It took me two and a half years and four hundred pages to tell this story, and I'm sure I made some mistakes," David Kirby told me, adding that the complexity convinced him to write a book. The fact that the bulk of the public health establishment dismisses the thimerosal theory is also daunting, particularly for science reporters who rely on the same pool of medical experts and health officials regularly. "They depend on these people in this symbiotic relationship that they have," said Steve Wilson, an investigative reporter for the local ABC affiliate in Detroit, WXYZ, whose three-part series on thimerosal won an Emmy. "They've come to trust them and respect them and to believe when they tell them, 'Look, you're barking up the wrong tree here; these parents are just looking for somebody to blame.'" Some of the most enterprising journalistic contributions to the thimerosal debate have come from the once prestigious, now flagging news wire United Press International, which is owned, along with the Washington Times, by the Reverend Sun Myung Moon's Unification Church. On my desk, UPI senior editor Dan Olmsted's "Age of Autism" series, which he began late last winter, occupies a file that at this writing is more than an inch thick and growing. He averages two columns a week on the topic. Aside from the Washington Times, though, not a single U.S. paper that Olmsted knows of has run any part of the series. It has, however, been widely disseminated on the Internet. Olmsted, a former assistant national editor at USA Today, found his way into thimerosal through another medical side-effect story. It involved an antimalarial drug called Lariam, which was prescribed to Peace Corps volunteers, travelers to third-world countries, and more recently to U.S. troops stationed in Iraq and Afghanistan. As Olmsted and his UPI colleague Mark Benjamin (now a national correspondent at Salon.com) detailed in an investigation that spanned more than two years, starting in 2002, Lariam, which had been approved by the FDA and recommended by the CDC, also appeared strongly linked to psychosis, including homicidal and suicidal behavior. Partly because of their reporting, the effects of Lariam are now under study by the Pentagon. "If it hadn't been for Lariam, I don't think I would have ever thought twice about autism," Olmsted told me. "With Lariam, CDC officials said many times that there's absolutely no problem with side effects from this drug, it's extraordinarily safe. That's just not true." Instead of wading directly into the thimerosal controversy, Olmsted approached it, as he puts it, "sideways." By this he means that after reading what had been written on autism and noticing a relative dearth of material about its origins, he set out to write a natural history of the disorder. Eventually, Olmsted began thinking of ways to test the thimerosal theory. He wondered whether researchers had ever examined the prevalence of autism in an unvaccinated population, such as the Amish. That, it would seem, would be the most likely way to determine whether the vaccine link held water. If the number of autism cases among the unvaccinated mirrored the national average, then it would seem that thimerosal played no role. Olmsted found that though researchers had discussed such a study, none had ever been done. "That's an expensive study," he said, "but for a journalist all you have to do is get on the phone and start asking." After spending weeks searching for cases among the Amish of Lancaster County, Pennsylvania, he managed to find three children with autism, two of whom had been vaccinated, a rarity in that community. "The cases among the Amish that I've identified over the past several weeks appear to have at least one link - a link made of mercury," Olmsted wrote in a column on May 20, referring to the vaccinated children. "That's not something I expected to encounter." Looking at other large Amish populations in the Midwest, such as those in Middlefield, Ohio, and Goshen, Indiana, Olmsted found similarly low autism rates. He admits that his findings are not scientific. "I could be getting a completely wrong impression from what I'm finding, but it's interesting," Olmsted told me. Interesting enough to get the attention of members of Congress, including Representative Dave Weldon of Florida and Senator Joseph Lieberman of Connecticut; officials at the Department of Health and Human Services; and researchers, including Mady Hornig, the Columbia epidemiologist, who now hopes to devise a study looking at the Amish. Privately, two reporters told me that, while intriguing, Olmsted's reporting on the Amish is misguided, since it may simply reflect genetic differences among an isolated gene pool (Hornig, however, said that a study on the Amish may still be valuable should the prevalence of autism in that community indeed be low, allowing researchers to study the genetics of people who are not susceptible to the disorder). Both reporters believed that Olmsted has made up his mind on the question and is reporting the facts that support his conclusions. "I've just tried to find a way to get into this that adds something to the debate and is original," Olmsted said. Among major newspapers, the Los Angeles Times's coverage of thimerosal stands out. It has taken the story seriously and devoted significant coverage to it, partly because through the summer and fall of 2004 a bill to ban thimerosal from all vaccines given to infants and pregnant women was making its way through the California legislature. Strongly opposed by the vaccine manufacturer Aventis Pasteur and the American Academy of Pediatrics, the measure was signed into law by Governor Arnold Schwarzenegger in late September of that year. The reporter Myron Levin entered the fray in April 2004 with a piece that revealed that while the CDC would add flu shots to its list of suggested vaccines for children, it would not recommend that parents seek the available thimerosal-free version. He followed in August with a long feature on the attempts of parents who believed their children's autism was caused by mercury-containing shots to win compensation through a little known branch of federal claims court for the exorbitant costs of caring for their kids. (This "vaccine court," which pays out claims from a federal trust funded by revenue from a vaccine surcharge, was established during the mid-1980s as a means to protect drug companies from civil suits.) It was while covering this story, in which Levin captured both sides of the debate, as well as the devastating realities of raising a child with autism, that the CDC's Stephen Cochi referred to supporters of the thimerosal link as "junk scientists and charlatans." Cochi's lack of diplomacy stunned Levin. "When government officials talk to reporters, they are usually beyond cautious and it can be really hard getting them to opine on anything," he told me. "To attack opponents in those terms shows the raw emotion that has infused this whole issue." From his introduction to the thimerosal issue toward the end of 2003, Levin found it striking that a neurotoxin had ever been put into vaccines given to infants, even newborns. He wondered how health officials had failed for so long to consider the repercussions of injecting children with mercury-carrying vaccines. As Levin reported last winter, the question of whether children were receiving too much mercury from their inoculations had been considered by Merck in the early 1990s. The front-page story - which reverberated through autism circles but drew little attention from the rest of the press - reported the contents of a leaked memo written by Dr. Maurice Hilleman, then the president of Merck's vaccine division. While public health officials had yet to recognize the total mercury load infants would receive from all of their suggested immunizations, Hilleman had done the math. "When viewed in this way, the mercury load appears rather large," he wrote in the 1991 memo, suggesting that thimerosal should probably be removed from vaccines administered to young children when possible. Levin kept the heat on Merck, reporting in March that the company had likely misled the public when it assured consumers in 1999 that its "infant vaccine line . . . is free of all preservatives." Merck had in fact continued supplying vaccines containing thimerosal until the fall of 2001. Interestingly, this scoop had first been offered to The New York Times in February by a source who provided evidence to back up the claim. Gardiner Harris, then working on the story that turned out to be dismissive of the thimerosal debate that would run in June, blew off the tip, signing off his e-mailed response to the source, "I'll let Myron bite this apple." In late August, the Pittsburgh Post-Gazette reported the death of a five-year-old boy whose heart seized while he underwent an unproven autism treatment known as "chelation." Used for purging the body of heavy metals, particularly in cases of acute lead poisoning, it can prove damaging to internal organs by leeching certain necessary elements, such as calcium, from the system. While chelation has been embraced by some supporters of the thimerosal theory, who report that their children's conditions have improved as mercury was drawn from their bodies, the medical establishment has cautioned against it as a means of treating autism. To journalists, for whom the perils of covering thimerosal have been purely theoretical, this incident could only underscore the potential dangers of lending any credibility to the autism link. The day the boy's death was reported, Craig Westover, a columnist at the St. Paul Pioneer Press, who writes frequently about thimerosal, received acid comments from readers on his blog. One reader, writing under the name Credenza, wrote, "They finally did it Mr. Westover, they killed a little boy trying to get that satanic mercury out of his little body. You have some blood on your hands. Like it or not you do. There has been no autism epidemic and thimerosal doesn't cause autism . . . . I hope the parents of this boy point the finger at you and scream murder." "I really do try to walk a middle line on this," Westover told me that day, as he mulled his response to the reader. "You have to go out and investigate this and be able to come to some sort of conclusion. Not definitely that thimerosal does or does not cause autism, but you have to come to the question of whether this theory is plausible or not. Otherwise, I think you're doing a disservice to your reader." The evidence has led Westover to believe that a connection is possible. He realizes, moreover, that what he writes may influence others to believe the same. To the reader who blamed him for the boy's death, Westover ultimately wrote, "That is the risk of a sin of commission, and one I considered long and hard before I wrote my first article on this topic . . . . I will stand on what I believe and accept the risk and the consequences if I am wrong." Whether the thimerosal theory is proved right or wrong, there will be consequences - for the public health apparatus and vaccine manufacturers, for parents and their children, even for journalists. But with science left to be done and scientists eager to do it, it seems too soon for the press to shut the door on the debate. Daniel Schulman is an assistant editor at CJR. Gary Facer of Orem summed up how most Americans, governmental entities and health professionals feel about a public health emergency. "I hope it doesn't happen," he said. But if at some point in the future it does, and Congress has passed the Bioshield II bill, and people are injured because of a government-mandated vaccine that is supposed to protect the American public from the outbreak, those people will not be able to sue the vaccine manufacturer. toward creating a partnership between the government and private corporations to "rapidly develop effective medical drugs and vaccines to protect the United States from deliberate, accidental and natural incidents involving biological pathogens." The bill in a large part focuses on bioterrorism and biological, chemical and nuclear warfare, but Burr said in the release it also provides the resources necessary to deal with a naturally occurring epidemic. It absolves pharmaceutical companies from any liability from injured parties if the federal government declares a public health emergency and mandates the vaccine. The bill's language and its precepts make Barbara Loe Fisher, president of the National Vaccine Information Center, uncomfortable. She said it takes away pharmaceutical companies' responsibility to consumers and gives too much power to the Secretary of Health and Human Services, who declares public health emergencies. "Now this legislation is going to remove liability from the companies who produce these drugs and vaccines at government request and nobody is held accountable when a state of emergency is declared," she said. Pharmaceutical companies already are protected from most lawsuits. In 1986 Congress created the National Vaccine Injury Compensation Program, which is a no-fault alternative to litigation, according to information from the U.S. Department of Health and Human Services. It was created after the number of lawsuits filed against vaccine producers spiked, and many companies opted to get out of vaccine production because of skyrocketing legal costs. The measure could be a good thing, said Lance Madigan, spokesman for the Utah County Health Department. Protecting pharmaceutical companies from prohibitively expensive litigation is positive because it allows the companies to produce vaccines that in the large majority of cases protect the public. In many instances, diseases that could have caused a national crisis are controlled because of vaccines. "There is always the possibility of adverse reactions" because of allergies or other factors, he said, adding those instances are rare and almost everyone benefits from getting immunized. Food and Drug Administration, and it will be approved and distributed without going through the same rigorous process drugs should. "We just feel that enough is enough," she said. "There has got to be some accountability somewhere for these vaccines and drugs." Facer agreed someone should be accountable. But he questioned if it should be the pharmaceutical companies. "If the government mandates it, they should also bear the burden of liability," he said. Madigan said the FDA's process for approving a drug is thorough and a drug will not hit the market until it is considered safe for general consumption. Should there be a national health crisis, the approval process may be reduced, but it would be determined on a case-by-case basis, he said, with many factors taken into account. "Obviously, if the disease is that infectious or that deadly, then they're probably going to be willing to have more risk," he said. The Senate Committee on Health, Education, Labor and Pensions passed the bill Tuesday and now will go to the full Senate for a vote. This story appeared in The Daily Herald on page A1. Medical research often becomes news. But sometimes the news is made to appear more definitive and dramatic than the research warrants. This series dissects health news to highlight some common study interpretation problems we see as physician-researchers and show how the research community, medical journals and the media can do better. For years, the public health community has used fear as one strategy to promote the flu vaccine. A vaccination poster distributed by the U.S. Centers for Disease Control and Prevention (CDC), for example, emphasizes that "36,000 Americans die of flu-related illnesses each year," implying that the vaccine could prevent many of these deaths. What was an elderly person's chance of having a flu-like illness in a flu season? When it became aware of the vaccine shortage last October, the federal government changed course and tried to reassure Americans that going without a shot was no big deal. "We all need to take a deep breath. This is not an emergency," CDC director Julie Gerberding advised the public. Instead of urging vaccination for everyone age 50 and older, as they had been doing, government officials recommended shots only for people 65 and older, and those in selected high risk groups. The public's response was predictable: People were upset and confused. Our local television news played a story in which a pharmacist was called "a murderer" when his vaccine supply ran out. Ironically, the crisis mentality led some to engage in behaviors that probably increased their risk. Frail elderly people, some with oxygen tanks, stood in long lines in the cold, waiting for the vaccine. Others crowded clinics and doctors' offices, increasing their chance of exposure to flu and other infectious agents. With uncertainties about this year's vaccine supply, the CDC again recommended that highest-risk people get priority for flu shots, at least until late October. But last year's flu season may have left people confused about essential points: Just how risky is the flu? And just how effective is the vaccine? The answers to these questions may surprise readers. How Risky Is the Flu? First, a caveat: The risk calculations we analyze here describe typical flu seasons only. We don't consider here what the picture would be in the event of a deadly flu pandemic -- a worldwide outbreak of a new, highly virulent flu strain, the potential for which has recently drawn considerable media attention. No one really knows how likely such an outbreak is, but the risk profile would certainly change. A pandemic is a fundamentally different situation: The risk of death would be substantially higher, and untested strategies (including new treatments, quarantine and a new vaccine) would need to be implemented rapidly. We deal here with what is known about typical flu seasons, based on data that form the basis for the federal government's flu-risk figures. In fact, it is very difficult to know how many people die from any given disease because there is often much uncertainty in determining the cause of death. This is particularly true for the flu. That's because it shares symptoms with so many other diseases, and because people most likely to die a flu-related death are also at high risk for many other causes of death. Flu deaths are probably undercounted because doctors do not routinely test for the flu, and because some deaths that should be attributed to the flu are given other diagnoses. For example, someone who dies from a heart attack because they are debilitated by the flu might not get counted as a flu death. Some overcounting of flu deaths also occurs: Clearly not all winter pneumonia deaths are caused by the flu. For people younger than 65 (including children), the chance of a flu-related death is much smaller -- about one in 100,000. Of course, adults and children might be concerned about flu-related problems besides death, such as being hospitalized or just suffering with unpleasant symptoms (typically three to seven days of fever, muscle aches, headache, weakness, dry cough and runny nose). As you might guess, counting the number of flu-related hospitalizations or the number of people experiencing symptoms from the flu is even more difficult than counting flu deaths. How Good Is the Vaccine? Getting a shot does not guarantee you will not get sick from the flu or die from it. Recently, the Cochrane Collaboration, an international group that evaluates the evidence for various medical interventions, reviewed the medical literature on the effectiveness of the flu vaccine in preventing death. Unfortunately, the evidence on how well the vaccine works to prevent death in the elderly is limited. Few of the existing studies are randomized trials -- considered the gold standard for medical evidence. Instead, most data are from observational studies -- studies in which scientists simply count up outcomes (here, the number of deaths that occur among people who did or did not get the vaccine). But drawing conclusions about cause and effect from such observations is fraught with problems. For example, a 2003 study published in the New England Journal of Medicine observed that the flu vaccine was associated with a 50 percent reduction in the overall death rate (that is, death from heart disease, stroke, cancer and all other causes combined). To attribute an effect of this magnitude solely to the flu vaccine is ludicrous: Flu-related deaths make up less than 2 percent of all deaths. If the claim were accurate, the vaccine's power would dwarf that of any other medical intervention. There is, however, a much more likely explanation: People who choose to get a flu shot are much healthier -- and therefore already at much lower risk of death -- than people who do not. Only five randomized trials have examined the effectiveness of the flu vaccine. In these studies, patients were randomly assigned -- a selection technique equivalent to the flip of a coin -- to get either a flu vaccine or a placebo injection. But none of these studies looked at whether the vaccine prevents death. Instead, the scientists measured who developed a flu-like illness. For a summary of the findings of these studies, see "How Well Does the Vaccine Work in the Elderly?" below. For younger adults, flu-related death is so rare that it has not been reliably studied: Doing so would require a trial of millions of people. Of course, the flu shot may have benefits besides reducing the chance of death. Many may get flu shots simply to avoid getting sick. The Cochrane Collaboration identified more than 20 randomized trials addressing this question. The overall chance of developing "clinical" flu (we'll explain in a minute) was 19 percent in those chosen, again by chance, to receive the recommended flu vaccine vs. 23 percent in the control groups. The careful reader may notice that these percentages are substantially higher than those reported for the elderly. (See "How Well Does the Vaccine Work in the Elderly?") This is because clinical flu is defined as a set of non-specific symptoms including fever, cough and muscle aches -- symptoms shared by many non-flu illnesses like the common cold. These non-flu illnesses may be especially common in younger adults because of their exposure to other people, particularly children. To try to isolate the effect of the vaccine, scientists sometimes use laboratory tests to confirm the activity of flu virus in the blood. Using this measure, the chance of flu in the vaccine group is 2 percent vs. 7 percent in the control group. Studies have also measured another outcome: how vaccination affects days lost from work. On average, there are about 0.16 fewer days lost from work per person vaccinated. Another way of saying this is that about 5 percent of those vaccinated avoid missing about three days of work because of the flu. (That is, 0.16 days divided by the 5 percent who benefited from vaccination equals 3.2 days.) The other 95 percent vaccinated got no benefit. To promote vaccine use, many in the public health community have overstated the risk of flu-related death and the effectiveness of the vaccine in preventing it. While the flu vaccine may have some important benefit (less flu-related illness), we really do not know whether it reduces the risk of death. For younger individuals -- for whom the chance of flu-related death is extremely small -- any death-protection benefit can only be very modest (and it is unlikely we will ever reliably know whether it even exists). However, we do know that the vaccine reduces the risk of being sick and time lost from work. But because the effect is small, individuals will have to judge for themselves whether it's worth the bother. We are not suggesting that Americans forgo flu vaccines. We simply want to help people make informed decisions. Regardless, public health officials should not exaggerate risks or benefits to promote vaccination. Exaggeration carries a price: Not only do some people get scared and engage in behaviors that increase their risk (like waiting in a crowded clinic for a flu shot). They may also grow cynical and end up ignoring health messages that really matter. Steven Woloshin, Lisa Schwartz and Gilbert Welch are physician-researchers in the VA Outcomes Group in White River Junction, Vt., and faculty members at the Dartmouth Medical School. They conduct regular seminars on how to interpret medical studies. (Seehttp://www.vaoutcomes.org.) The views expressed do not necessarily represent the views of the Department of Veterans Affairs or the United States Government. To respond to this article, send e-mail to health@washpost.com. WASHINGTON - The FDA has withdrawn approval for a drug used to treat attention deficit hyperactivity disorder because it has been associated with liver problems, including death, agency officials said Monday. The move means drug manufacturers will no longer produce generic versions of pemoline, which was developed by Abbott Laboratories and sold under the name Cylert. Abbott discontinued the drug earlier this year, but generic versions have remained available. FDA is not recalling the drug, instead allowing pharmacies to sell their remaining stock as doctors still using it switch patients to alternative treatments, the agency said in a statement. The lack of a recall drew fire from the consumer advocacy group Public Citizen. "It is reckless and insensitive to the health and lives of children and adults using this drug for the FDA and the involved drug companies to fail to institute an immediate recall of these dangerous products," said Drs. Sidney Wolfe and Peter Lurie, who lead the organization's Health Research Group, in a letter to the FDA. In a statement, the FDA said it has 13 reports of liver failure resulting in transplant or death among people who took the drug, which has been available for 30 years. There are additional reports of less serious problems. Although that is a small number, it is well above what the normal rate of such problems among the general population, the FDA said. "FDA has concluded that the risk of liver failure with this drug outweighs the potential benefits," the agency statement says, noting that alternative treatments for ADD have come on the market since pemoline was introduced. The drug acts as a stimulant to the central nervous system. A reminder of the questions being explored. Did this man's autism contribute to his current 'at risk' status? Would he be in danger if his autism had been 'cured'? Raleigh — A 22-year-old autistic man wandered away from his family Saturday night at the N.C. State Fair and hasn't been seen since. Antwan Hester, of Henderson, was last seen walking towards Hillsborough Street from Blue Ridge Road, according to the Wake County Sheriff’s Office. Hester is 5-feet-8-inches tall and weighs 220 pounds. He has brown eyes, black hair. He also has a thin beard and a moustache. 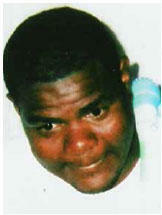 He was last seen wearing a gray hooded sweatshirt with a blue striped T-shirt underneath. He also had on blue sweat pants and tan Timberland boots. Hester is autistic and has childlike tendencies, according to the sheriff's office. Anyone with information can contact Investigator S. Ikerd with the Wake County Sheriff’s Office at 856-6967. A California school board member has finally come out and said publicly what parents across the country know full well is the way school systems think of our children. "At a board meeting on May 3 of this year, Ray made a public comment about the money spent on autistic children[sic]calling them "the unwanted stepchildren under the public schools." At a public meeting on Sept. 20 he did it again, telling the audience that the board is "stealing" from their kids to pay for autism"
This is not new information if you are the parent of an autistic child. Every single parent I know battles with the school system. I will be going to court next month myself to try to get them to pay for an appropriate private placement for Chandler, as the public placement they offered him was nothing more than day care. They have a specific program for Autistic children in the San Fernando Valley. There are six slots. More than a million residents and they only planned for 6 of them to be autistic. I call your attention to this article for an additional reason, to point out the problem with the idea that there has been no increase in autism in the last 30 years, merely an increase in recognition. Some have theorized that in the past autistic children were diagnosed as mentally retarded. In 2005 school systems across the country are going broke trying to pay for special needs kids, specifically autistic kids. Were the change in diagnosis largely responsible for the rise in autism, then those special needs kids, regardless of what their label was, would have been bankrupting school systems for the last 30 years. In fact most of the repudiations of the change in diagnosis theory have come from veteran school teachers who attest to the fact that 30 years ago they saw autistic children once in a blue moon. And once you see autism, you don't get it confused with mental retardation. The Temecula Valley school board is facing increased pressure and scrutiny for financial problems and program cuts. Board member Ken Ray has identified autism, a developmental disability, as a "huge hunk" of the problem, and as an answer to the question of where the money is going. At a board meeting on May 3 of this year, Ray made a public comment about the money spent on autistic children, calling for a separate state agency to take responsibility for them, and calling the children themselves "the unwanted stepchildren under the public schools." At a public meeting on Sept. 20 he did it again, telling the audience that the board is "stealing" from their kids to pay for autism, and that the results are cuts to band programs, physical education programs and raises for teachers. He added that students with autism deserve services, but not from the public schools. He urged the audience to "get on Sacramento" so that the state assumes responsibility for all autistic students. The Temecula Valley Unified School District has an annual budget of $150 million, and their financial problems are on the order of millions of dollars. In coming years their revenues will stagnate, their new schools will age and their mounting debt will, along with other factors, turn millions into tens of millions. They are currently dealing with a grand jury investigation, harassment and wrongful termination lawsuits, and a growing morale crisis among their employees. The administration and board continue to deny that the situation is bad or that they have any problems at all. The position they take makes it impossible for them to improve, and they blame Congress, the state of California, special education, the grand jury, whatever they can find that is not themselves. Ken Ray told the audience on May 3 that they "are not the bad guys here." In other words, they're the good guys, but that doesn't mean much. Perhaps he can tell us where the responsible guys are. The stand-up guys. Perhaps Ken Ray sees the writing on the wall and is concerned as to what will be the legacy of the current board. However, publicly blaming a minority of children and setting the community against them into the bargain is an irresponsible act for an elected official. His naive suggestion that we just change California law shows he does not understand how discrimination has been outlawed over decades. His actions shed light on the problems associated with autism, but they also raise the big question of whether he and the rest of the board have the judgment needed to realistically deal with their growing responsibilities. By singling out a small group of disabled children as the cause of widespread and systemic problems, he gives himself the appearance of a man who is in over his head. This began as a reply to Wade Rankin and Kevin Leitch’s post in the comment section of this post, but it has mutated into its own post. Kevin raises a good question that is beginning to get some discussion in the biomed community. I thought I would offer my opinions and experience and then throw it out there for discussion. The primary responsibilities of parenthood is to keep a child safe, and to teach them how to keep themselves safe when you are not longer there to care for them. I see Autism as a making the first much more difficult and a monumental obstacle to the achieving the second. I am not so much attacking the “desire not to cure”, as using this example to defend the ‘desire to cure’. No… but it will temper curiosity with a healthy fear of injury, so what happened to the cat may not happen to the child. I will continue posting the stories of missing and deceased autistic children and then everyone reading can decide for themselves if the child's ASD was the factor that made them engage in the behavior that put them at risk or resulted in their death. In this case, I have a 5 year old typical little boy and the thought of stepping out of the house in the dead of night would scare him shittless. He certainly would not get up, go out the front door and then walk for blocks. If my typical 5 year old was separated from me at Disney, he would scream for me and look for me and it would be much easier for him to be found. Chandler (pre-biomed) would just keep walking endlessly. FYI, Disney is a lot safer place than I thought it was. A few years back (before we had kids) we were there with another couple and were standing by that huge marble ball that is sitting on top of a high pressure water fountain so kids can spin it... you know the one? Anyhoo, this one 12 year old thought it would be funny to pee on it. Well we found out just how many plain clothes security they have in the park, because instantly the kid was surrounded and uniformed guards came around the corner about 30 seconds later. My point being that if a child gets separated from mom at Disney World and starts screaming for mommy, there will be several security people in ear shot to scoop him up immediately. How much longer did it take the Mouse Squad to recognize the happy little Rankin was at risk when he didn't call attention to himself by recognizing that he was at risk and freaking out? And again, I think we have different ideas of what "cure" means. To me it is that he would not longer fit the DSM IV criteria. Most specifically, and most importantly, he would be able to accurately size up his environment, act appropriately in his own best interests and advocate for himself. Last spring we were at the park and poor Chandler was stung by a bee on his face. We were sitting on one of those kid trains, and he started whimpering for a minute but was not terribly upset. Scott assumed that he didn't like the ride. He was stung on the cheek facing away from Scott, so he could not see the big red welt. It was not until 10 minutes later when I approached them as we were getting off the train (Web and I were in another part of the train car) that I put together what had happened. I had seen the bee earlier, Scott had not. Now the danger part is that kids react to bee stings on their 2nd sting. What if he had developed an allergy and gets stung again, but does not call it to my attention? All the sudden my child falls into anaphylactic shock and I have no idea what the hell is happening. Autism makes the dangers of childhood MUCH more dangerous. Come to think of it, it makes the dangers of adolescence and adulthood more dangerous as well. And as far as drastically altering their personality, comparing it to as dramatic a change as someone’s gender, I don't know that "curing" them would do that. Do you know of cases where that has happened? To me it just seems to be more 'amplifying' their personality. Who they are is who they are. The changes we have seen in Chandler have not made him different so much as they have made him 'more'. We are finding that he has talents we didn't know he had because now he uses them and even shares them with us. Chandler's first language is math. At 2 he could not say mommy or daddy, but he could count to 10 forwards and backwards. Numbers are still his first love, but now he includes us in it, asks us to count with him, we play little number games and best of all, we can teach simple addition to him and his experience with numbers is now enhanced because he can receive what we have to teach him. Now rather than just sitting alone and reciting numbers (he clearly has a special relationship with each digit) he is using math practically. As I was typing this he came over and began counting imaginary ice cream cones. "One Ice Cream!" he takes a lick, and offers mommy a lick, "Two Ice Cream!" and on and on. At one point the ice cream was blue. He is still Chandler, just happier and no longer in a fog. He can communicate his wants and needs, and cope better when he doesn't get his way. He is recognizing opportunities that he never noticed before. But he is still the same kid. I think my husband is a good example of someone who has lost ASD symptoms (not the good ones) through biomed, but retained his skills and "specialness". Whereas in his youth, his waters were so still that no one knew how deep they ran, now he is a big stand out because people know how freakin' smart and talented he is. I should write about his story. Since the personality change question has been raised on the Evidence of Harm list by Adult Autistic that oppose a 'cure', parents have been asking one another if they know of any children loosing their special talents or personality traits as they recover. I have not heard people report that they have, but I don't read all the posts. I think it is a great question to put out here. Do you know a child who is recovering through biomed or ABA or whatever? Have you seen him loose any special personality traits or talents? To be completely honest, I am not open to the idea that a ‘cure’ for Autism should not be perused. Certainly it should be up to each autistic individual, or autistic child’s parents as to what treatments they want to implement. To me this is a completely subjective discussion because bottom line, my child suffers physical illness, metal toxicity, metabolic disorder and autoimmune disorder, and I am going to treat them. Regardless of the impact on his autistic symptoms, it would be irresponsible of me to leave him be now that I know that these problems exist. In addition, if I actually had to choose between Chandler’s recognition of danger and his mathematical acumen, then bye-bye advanced calculus. But just because my mind is pretty much made up as to the answer to this ethics question for my family does not mean that the question should not be explored. I believe in looking at things, even that we disagree with entirely, because at worst it tempers our judgment of those who disagree with us and at best it gives us wisdom on the journey that we have chosen. This specific question is just another one in the larger medical ethics discussions, ‘just because we can cure something, does it mean that we should’? That is a discussion that I am very open to. My camp says: Don’t ‘cure’ infectious diseases through vaccinating because the side effects (neurological, toxicological and immunological) are too dangerous and not worth it. His camp says: Don’t ‘cure’ autism through biomed treatment because the side effects (mineral depletion, personality change and child’s self-esteem) are to dangerous and not worth it. Both sides assert their right to reject and condemn the treatment they don’t like, while attacking the other group for doing the same. At this point, in what we know it is still a subjective decision and reasonable people can disagree on whether or not to vaccinate or chelate. UPDATE: Wade had expounded on my thoughts here. You see, the point is not trying to keep our children from being lost in a theme park or on the streets of a new city. It’s to keep our children from being lost in the world! ...Put 100 ASD kids in the room, you’ve got 100 highly different kids. Remediate the autism, and you’ve still got 100 different kids. But maybe they can now deal with the sensory input of the scene, maybe they will feel safe, and will express themselves with the confidence and competence that is their birthright. Now that we know where the deficits lie, let’s treat them and turn down the static so we can hear what these kids are saying. I, for one, am interested. I’m not trying to fix them. I’m trying to hear them. The birth dose of the Hep B vaccine was the first of Chandler's two adverse vaccine reactions. A 5-week-old foster child died at a state Division of Youth and Family Services office in Newark yesterday, shortly after a routine visit to a medical clinic where he received a vaccination. A DYFS aide bringing newborn Zaire Knott from the clinic to the office on Halsey Street noticed the infant was having trouble breathing and was bleeding from his nose, state spokesman Andy Williams said. The aide rushed the boy inside DYFS District Office #1, where an in-house nurse urgently gave the newborn cardiopulmonary resuscitation. Although the nurse was assisted by emergency medical technicians who managed to regain a pulse, the baby died in the office at 12:46 p.m., Williams said. There was conflicting information last night about who took the boy to St. Michael's Medical Center in Newark, where he was officially pronounced dead. DYFS said EMTs drove him there after taking nearly 30 minutes to arrive; a statement from the Newark Police Department said a DYFS worker drove the baby to the hospital. "An exact cause of death will be determined at a later date pending the results of an autopsy," according to the police statement. DYFS officials suspect the immunizations -- for hepatitis B and polio -- "caused the distress or some sort of reaction," Williams said. "We'll review the circumstances, but it sounds like a medical complication. We'll look at exactly what was done after they discovered the baby was in distress," Williams added. But one expert said fatal reactions to those routine vaccinations are nearly unheard of. "Every (vaccine) has risk," said Susan Morrison, an immunology and pediatric infectious disease specialist at Clara Maass Medical Center in Belleville. But she added, "I have never, in 25 years, heard of anyone dying within an hour of getting the vaccine for the first exposure time. ... In my experience, I have never had anyone have a life-threatening complication to polio and hepatitis B (vaccines)." A person can die from a severe allergic reaction to a component of a vaccine, but that requires previous exposure to that substance, Morrison said. "And at this age, I find it very hard to believe that would happen." It is standard for a 5-week-old to get several vaccinations, such as hepatitis B, according to the recommended childhood and adolescence immunization schedule provided by the federal Centers for Disease Control and Prevention. The schedule recommends the polio vaccine be given at 2 months. Rosenstein, president of Communications Workers of America Local 1037, which represents most employees in that office. "I have never seen more wrecked people," she said. Williams said the workers have been offered grief counseling, which will continue today. He said the foster mother, a resident of Newark who has cared for the boy since he left the hospital after his Sept. 16 birth, also will receive bereavement counseling. The baby had been taken at birth from his mother, a resident of Irvington. Williams declined to reveal details about the child's family and foster home. State Child Advocate Kevin M. Ryan said his office is investigating the child's death as well as his involvement with DYFS. Regarding any role the vaccination might have played, he said, "I think it's premature to draw any conclusions." DYFS is in the midst of a systemwide overhaul amid criticism from child advocates who say the agency is in disarray. Staff writers Kate Coscarelli and Brian Donohue contributed to this report. Several times a month there are stories in the news about autistic children who have walked away from home. Some of the time the children are found safely, many times they are not. Up until now I have not been posting these stories, as they are difficult for parents of autistic children to read. ...as they are difficult for me to read. I now think that I should have been. I think people need to understand how vulnerable most of these kids are because they lack a healthy fear of their environment. I do this to make a point to those who say that trying to find a 'cure' for autism is either morally wrong or physically dangerous. An autistic child found at midnight on Monday in Rockland was later reunited with his mother, according to Rockland Deputy Police Chief John Llewellyn. On Monday, Oct. 17 at 11:45 p.m., police received a call from the fire department reporting a small boy walking near the intersection of Westwater and Grove streets. A detail officer found the child a short time later. "He wasn't wearing any shoes or socks," said Llewellyn. "The child was non-responsive." Police were able to coax the boy into a police cruiser using potato chips. Officer Thomas MacDonald drove the boy, who police described as being 6 or 7 years old, around the area where he was found in the hopes he would indicate where he lived. The child gave no response, however, and the officer took him back to the station. Police contacted the fire department, who took the child by ambulance to Brockton Hospital while the Department of Social Services was notified to send a caseworker. The Plymouth County Sheriff's Department performed a reverse 911 call to all the homes within a one-mile radius of the area where the boy was found. At 12:12 a.m. the boy's mother came to the station to pick up the child. She informed officers that her child was autistic and unable to communicate. The family had recently moved to the area. Earlier this year an autistic child died during Chelation, spurring critics to characterize it dangerous and call for the practice to cease. Will they have the same reaction to this little boy's death? NEWARK — An infant died Thursday after being stricken at a downtown office of the state child welfare agency, police said. The month-old boy, who has been in foster care since birth, had just arrived about noon at an office of the state Division of Youth and Family Services from a doctor's visit. He had received immunizations at the doctor's office, said DYFS spokesman Andy Williams. Bonnie Sayers has a good review of books for the siblings of autistic children. I am gonna try this. I will let you know how it works. It's only been 3 weeks since we got it and now boys are swallowing pills totally independently w/o the help of the cup! The only thing we still need it for is to help Nate get all the Lauracidins down, he actually does better with it if I put about 1/4 of the scoop in the spout at a time instead of trying to swallow them 1 at a time. What helped us was using the pill cup to swallow frozen peas as practice (Thanks to our DAN! doc for that suggestion). Then we moved on to small gel caps (NN DHA Jr.) once they were good at those we did a slightly bigger gel pill (Thorne SF 722) and didn't try the regular capsules till they were good at the gell ones (since you get many tries with the gel before they are too mushy to keep trying and the regular caps you really only get 1 try before it gets stuck in the spout). The other thing that helped us was bringing over a peer who swallows pills and having them do it together, then insitutuing a 'race' to see who could do it faster with a prize at the end. We went from refusing to even try swallowing pills to 100% independence in only 3 weeks. I hope those that haven't gotten this skill down yet get inspired to try. This pill cup was key to getting this skill down, esp. since I talked it up before it's arrival too...(the magic feather affect). Now they down 1/2 a dozen pills in a minute including 1 that is a size OO (aka BIG!) as well as a scoop of Lauracidin! ....."Critics say the new bill would do nothing to address the potential near-term threat of a deadly avian flu outbreak and that its provisions could drive up the cost of certain drugs and vaccines and greatly reduce the public's legal recourse for defective products. "I hope ... that people don't think that this is going to solve the problem of the possible avian flu pandemic that is on our doorstep," Sen. Tom Harkin, D-Iowa, said...."
"....Burr's legislation would also provide incentives that proponents said are needed to encourage the biotech and pharmaceutical industries to invest more for drugs and vaccines for biological defense and naturally occurring disease protections." "For instance, the bill would allow Health and Human Services to sign exclusive sales contracts with particular manufacturers for a particular product. It would forbid government purchases of generic versions of such new drugs or vaccines as well as public sales of the products for use as countermeasures." "The bill would also provide companies with liability protections for new countermeasures not yet licensed by the Food and Drug Administration, so that a company producing products for epidemics or biodefense could only be sued if the Health and Human Services secretary finds clear and convincing evidence it willfully engaged in misconduct that caused the injury." "The bill would provide rebates or grants to encourage companies to manufacture vaccines, medical countermeasures, and pandemic or epidemic products within the United States and would allow the government to help pay the costs of establishing domestic manufacturing facilities." "Burr's proposal would provide a "limited antitrust exemption" for the Health and Human Services secretary and the BARDA director that would allow them to collaborate and consult with industry on developing new countermeasures." "It also would exempt the new agency from standard Freedom of Information Act and Federal Advisory Committee Act requirements for public transparency and would exempt certain federal cost oversight requirements." "Less controversially, the bill also would compensate first responders for countermeasures they purchase and would provide money to encourage development of animal models on which countermeasures could be tested against diseases too dangerous to test on humans." HERE WE GO AGAIN...GET READY FLORIDA! We have all learned lessons from Hurricane Katrina and Rita. Unlocking Autism, together with Autism Cares, has assisted over 100 families to date and UA has distributed over $30,000 in aid to needy families in the form of rent, groceries, utilities, transportation, medication and more. As Hurricane Wilma begins to approach the Eastern Gulf Coast, we are working hard to use lessons learned earlier this fall from other storms and help our special community prepare for Wilma. If you will potentially be impacted by Hurricane Wilma, you are invited to register your family or families you know about who have children with autism, at the AutismCares website, free of charge. You can put in emergency contact information so that our coordinators can call to check on you after the storm hits. A checklist to help you and your family prepare for the storm is listed below. Should your family need anything after the storm, we will do our best to assist you in coordinating those needs. Registering prior to the storm will help us be more effective in helping your family once it passes!!! To register, please fill out the form at AutismCares Registration before landfall this weekend. We are still working hard to assist families we have located in the aftermath of Katrina and Rita. If you know of a family in need of assistance please enter their information at www.autismcares.org . If you have any questions please contact AutismCares at 1-800-960-1844 or email autismcares@talkautism.org. Discuss the type of hazards that could affect your family. Know your home's vulnerability to storm surge, flooding and wind. Prepare your house and your yard for the approaching storm. Remove things in the yard that could become projectiles in heavy winds and secure windows as needed. Locate a safe room or the safest areas in your home for each hurricane hazard. In certain circumstances the safest areas may not be your home but within your community at a shelter. Is the room you select as your safest spot high enough to evade flood waters? Is there glass in the room that can break with winds? If your area is prone to high flood waters, put an ax in the attic so that you can break out if needed. If your home is not safe, evacuate to a shelter. When selecting your safe room, consider your child's special needs. Will winds be too loud? Bring a battery operated headset with soft music to keep your child distracted or a portable DVD player, games or drawing materials, if possible. Be sure to bring food and beverages with you to the room so that you don't have to leave it during the height of the storm. If you have to evacuate in separate modes of transportation, determine escape routes from your home and places to meet. These should be measured in tens of miles rather than hundreds of miles. Have directions with alternate routes available in the event that you are diverted to a different course than what you originally planned by officials. Have a map in the car. Have an out-of-state friend as a family contact, so all your family members have a single point of contact. Register at AutismCares when you evacuate so that we will be able to assist you more quickly and bring the toll free number with you in your important papers. Remember that phone lines are often damaged for weeks after the storm so having a contact that is several hundred miles from your own area code is a good idea. Make sure that your cell phone is fully charged and that you have important phone numbers either programmed into it or a list of those numbers with you. Refill any necessary prescriptions for all members of your family. Have medication and supplements that your child might take on hand with enough for a two week supply, minimum. Bring a copy of your child's doctor’s names and phone numbers. Remember to take cash out of the bank. Without electricity, those credit card machines are useless! Be sure to fill your car with gasoline. Without electricity for even up to a week, many stations may not be open and you need to be able to keep on going! If you do evacuate to a shelter, put a label on the back of your child's shirt with their name, your name, your emergency contact information and their diagnosis in case you are separated during the evacuation. Bring any important documents with you including a copy of your child's IEP, insurance papers, medical records, school records, evaluations, etc. Take pictures of your house in each room if you can and bring the film with you. Be sure to have pictures of all family members with you in the event that any of you! are separated so that you can notify people more quickly. Contact the local Red Cross, or local emergency officials, in your area to determine if Special Needs Shelters have been set up prior to the storm's arrival in case you need to evacuate to one. A Special Needs Shelter is more prepared to handle your child's needs. Stock non-perishable emergency supplies and a Disaster Supply Kit. You will need candles, flashlights, batteries, enough food and bottled water for your whole family for five days, charcoal, lighter fluid and matches for cooking, mosquito repellent, ice , toilet paper, body wipes, diaper wipes, plastic bags, diapers (as needed). We also recommend keeping hand cleansers like Purell handy. In the most affected areas, fill your bathtubs and any other containers with water after the storm passes in the event that water pumps fail. This will allow you to still be able to flush your toilet by boiling the water from the tub to the toilet. Be sure to keep small children out of the bathroom to avoid them stumbling into a full tub. Use a NOAA weather radio or other battery operated transistor radio. Remember to replace its battery every 6 months, as you do with your smoke detectors. The majority of deaths associated with Hurricanes result in the post storm flooding. Do not venture out after the Hurricane has past if at all possible until officials indicate that it is safe to do so. I am a big fan of the free market. Make a really good product, everyone will come a-runnin'. Make a really bad product, you end up seeing your customers in court. It is a simple but powerful construct. It works to keep people on the up-an-up and when you remove it, bad things happen. It is a sad fact of human nature, if we don't think we will be held accountable, we are far less likely to behave well. If you knew you could never be audited, would you pay your taxes? Honestly and on time? Corporations use cost-benifit analysis to make decisions. If the cost of recalling a car that doesn't work properly will exceede the cost that the lawyers estimate that the company will have to pay in court damages to those injured as a result of the defect, then they tend not to recall the car. They just let people get hurt and take their chances in court. What would happen if you removed car manufacturers responsibility for making sure cars were safe and didn't even make them share crash test information with the public? What would happen to those cost-benefit ratios? If the Vioxx disaster happened with Merck knowing full well that the kind of huge lawsuits that are happening now were a possibility, and still chose to knowingly put out a painkiller that caused heart attacks and death, then what in the hell is going to stop them from putting out bad products when they can't be sued? Oh... and don't miss the last paragraph about the new health agency that won't be subject to FOIA. BONUS! In July, Senator Richard Burr Defended Vioxx, claiming media blew associative health risks out of proportion; his newest legislation slams door on vaccine safety"
"Washington, DC – New legislation is said to go into mark-up today. Much like legislation introduced by Senator Bill Frist in the past, the Biodefense Bill gives immunity to vaccine-makers and softens guidelines for product safety. The bill also grants profitable incentives to the pharmaceutical industry, and permission to suppress safety data. In a statement today issued by advocates for children’s rights and safety, parents say that Burr and Enzi are capitalizing on fear and intimidation, and that drug companies are using generous campaign donations to seduce Congress into awarding the pharmaceutical industry unprecedented liability protection, thereby removing any financial incentive for manufacturers to produce safe vaccines. way of safe medical products. Now he’s using the media’s coverage of the bird flu to his advantage." The "Biodefense and Pandemic Vaccine and Drug Development Act of 2005", influenced by drug industry lobbyists, abandons children and citizens of this country. It also rewards a pattern of bad behavior by an industry recognized for suppressing safety data on medical products. Similar to past legislation, this bill will once again spawn opposition. Parents are willing to go back to Washington and launch a media campaign. Back in 2002, a campaign that targeted Senator Bill Frist for his liability–protection legislation raised enough awareness to gather more parents for the current fight. “We have an army now,” says NAA Executive Director Jo Pike. “There will be no dollar-figure placed on the health of children." The bill creates a new agency called the Biomedical Advanced Research and Development Agency (BARDA) and specifically states that FOIA will not apply to their duties, activities and advisory boards. According to the legislation, states will lose rights their rights to hear vaccine-related court cases and documents will be unavailable to the public."